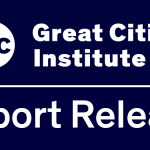 This report, The High Costs for Out of School and Jobless Youth in Chicago and Cook County, is the fourth report produced by UIC’s Great Cities Institute (GCI) for the Alternative Schools Network (ASN). New report on youth joblessness commissioned by Alternative Schools Network for the January 30, 2017 hearing “More Jobs, Less Violence: Connecting Youth to a Brighter Future” at the Chicago Urban League. This report presents findings from a survey of Latinos regarding their perceptions of law enforcement authorities in light of the greater involvement of police in immigration enforcement. This paper argues that new state strategies towards financial volatility have created dramatic new forms for the racialization of credit risk. The purpose of this paper is to present a participatory evaluation using an empowerment framework to demonstrate how a local, urban cultural center for youth fosters (1) Latino Unity and positive youth development among participants; (2) youth led action and organizational empowerment, (3) positive community connectedness and community-building and (4) broader societal connectedness and social justice. As arrests of girls for violent offenses rose in the 1990s, public concern about adolescent girls’ aggression grew around the notion of girl-on-girl violence. This research briefly explores that idea and argues that young women are indeed experiencing violence, but not necessarily from each other, as much as from the effects of racism, sexism, misogyny, homophobia, and poverty. The following project seeks to identify the attempt of two communities (one Mexican-American, one African-American) to authentically involve young people in the development and planning process of a community high school. Race and ethnicity have a complex history in the New World, in the confrontation of Europeans, and Africans, with Indians. After the Spanish conquest of Mexico, a hierarchical society based on caste, or “race,” was established, with Spaniards at the top, followed by castas (mixed bloods of various types), then Indians, and then Africans. In the federal courts and in a few states, the judge does not have discretion to fix sentences. Rather, sentences are determined according to administrative guidelines based upon previous criminal record and the seriousness of the current offense.